A lot of people are a bit sniffy about a bike from China with a price point of £5500. It’s definitely not going to appeal to everyone, but ignore all that and it ultimately becomes a question of whether the bike is any good or not. The regular Benelli TRK 502 came out in the UK towards the end of 2017 and didn’t really set the world on fire. 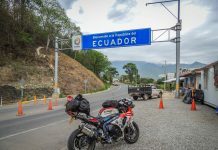 It was a 499cc parallel-twin engined adventure styled bike producing 47bhp and weighing in at around 235 kilos with all fluids onboard. It’s closest rival was and still is the Honda CB500X, and with a similar price tag and a slightly lower weight (197 kilos kerb weight, so around 220 kilos wet) the sensible money was always on the Honda. Which is a shame, as to ride the Benelli was actually rather good. It had a bigger bike feel than the Honda. A comfier riding position, a taller screen, a rear rack fitted as standard and to me it had a more refined suspension set up that meant it was actually more enjoyable to ride. In many ways it was the better bike. 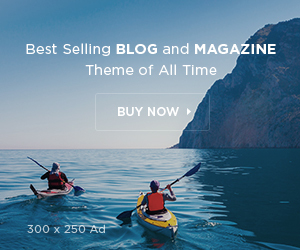 What it lacked was proven dependability (which can only come with time) and something to get it noticed amongst the saturated adventure market. That’s where this new X model comes in. Fundamentally it’s the same bike as the standard TRK but now comes with more rugged spoked wheels, with the front wheel increased in diameter from 17-inch to a more dirt friendly 19-inch, whilst the 17-inch rear wheel size remains. It also has longer travel suspension with the rear shock now adjustable for compression and rebound damping, a taller seat height (up from 800mm to 840mm, although it feels taller), an up-swept exhaust to prevent it catching on any rocks or tree roots, and together with new and more modern colour schemes and graphics the bike finally makes a bit more visual impact. 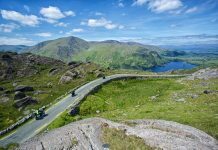 The result is a bike that from a distance at least gives the same big bike look as a Ducati Multistrada or Aprillia Caponorad, for a price tag of just £5499. In an age of GS 1200s getting on for £20,000, that definitely represents a lot of bike for the money. 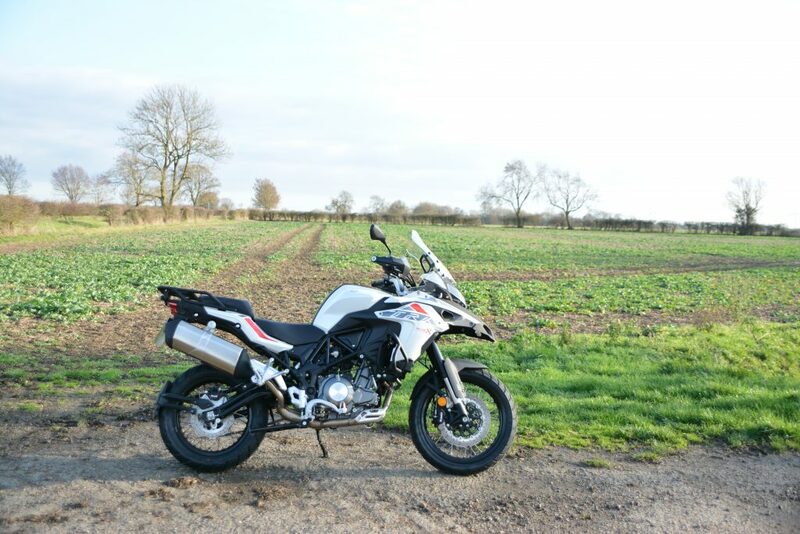 Whilst this was only a relatively short ride of the bike, with no opportunity to take it on the dirt, it did if nothing else provide an insight into what this bike might be capable of, and who it might be suitable for. The question remains, is it any good? Multistrada-esque in its styling, the X model certainly looks the part and is likely to get a fair amount of attention. The traditional upright adventure riding position should make it comfortable for a long day in the saddle. The bike uses the same 499cc liquid-cooled parallel twin engine as in the regular TRK502, just here with lower gearing in order to make it more suitable for slower speed off-road work. With lower gearing the bike should ‘chug’ in first or second without the need for constant clutch slip that might be required with taller gearing. The difference in the gearing isn’t overly noticeable on the road and if anything should make for slightly sharper acceleration between the corners. Where the bike does suffer a little, although I didn’t notice it unduly, is at higher speeds where the engine will be revving higher at constant speeds than it would be with taller gearing. Fuel economy may suffer a touch as a result and it may not be as refined on long motorway stretches. It means the regular model will be more appealable to some. What I immediately liked about the bike is the smooth throttle input, with good fuelling to allow you to roll on and off the throttle without any lurching or hunting. The overall characteristic and operation of the engine doesn’t feel cheap in the way you might expect it to. 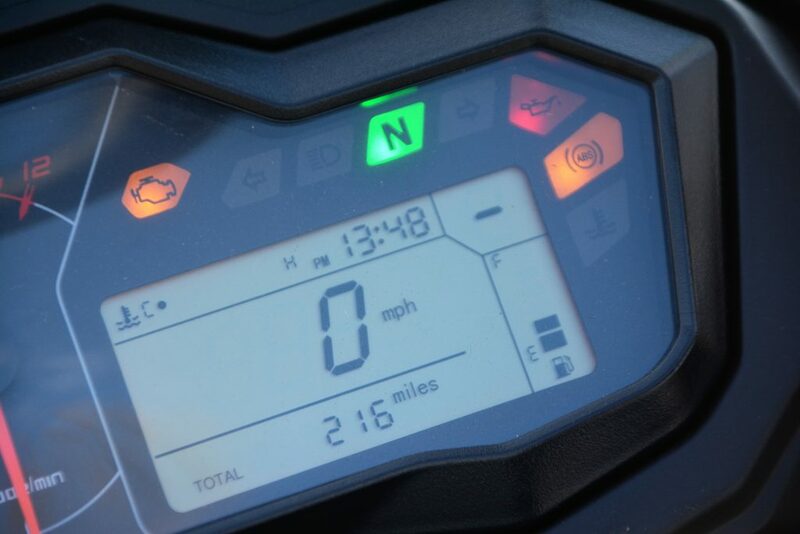 There is a bit of a buzz through the pegs at mid-rev range, which will probably soften with miles as this loan bike from Cooperb Motorcycles – a Benelli dealer outside Northampton – only had 210 miles on the clock so still needed some running in. The exhaust note has a nice bark to it and the engine certainly feels refined and ample powered for the size and weight of the bike. In terms of performance it’s hard to gauge any difference between this and the equally powered Honda. The Honda might be a touch sharper as it carries around 20 kilos less weight, whilst the Benelli has a few extra Nm of torque (46Nm plays 43Nm) to help compensate for that. It also has to be noted that the Benelli comes with a centre stand, engine guards, rear rack and a bigger fuel tank than the CB500X (17.7-litres for the Honda, 20-litres for the Benelli), which combined could account for perhaps 15 kilos of the weight differential and therefore bring them very much in line, like for like. With the Benelli you also get the sense that there’s a lot of fresh air behind the plastics, it deliberately puffed up to give the illusion of a bigger machine. So it doesn’t weigh as much as it looks. To push and pull around the Benelli definitely doesn’t feel any heavier than the Honda. 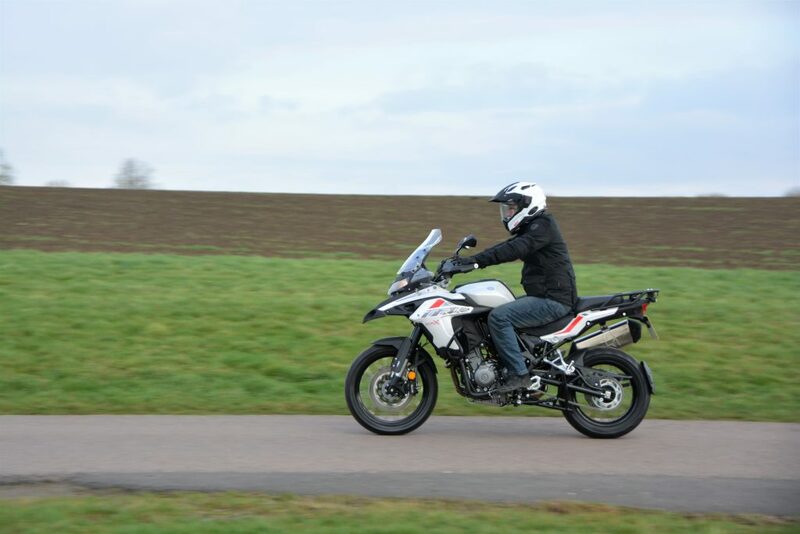 It also doesn’t feel in the same ball park as a R1200 GS, which on paper weighs only 10 kilos more. It’s a shame in that sense that so many get put off by the spec-sheet weight of the Benelli (and other bikes in general) as spec sheets don’t always paint an accurate picture. The six speed gearbox in the TRK is perfectly slick and well weighted. Neutral is easy enough to find and the clutch is light. Service intervals are every 4000 miles (8000 miles for the Honda) with a valve check at 16,000 miles. The engine and rest of the bike are built in China by Qianjiang, who bought the Italian company back in 2005. The bikes are still designed in Italy and remains the base for Benelli HQ. Benelli is about to launch a naked bike with an all-new 750cc engine, which should at some point find its way into the TRK and give their range of bikes a broader appeal, possibly challenging Yamaha’s MT range. 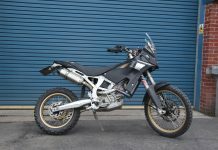 Sadly, the 500cc class of adventure bike still gets looked down on for not being substantial enough for adventure, which of course is nonsense. 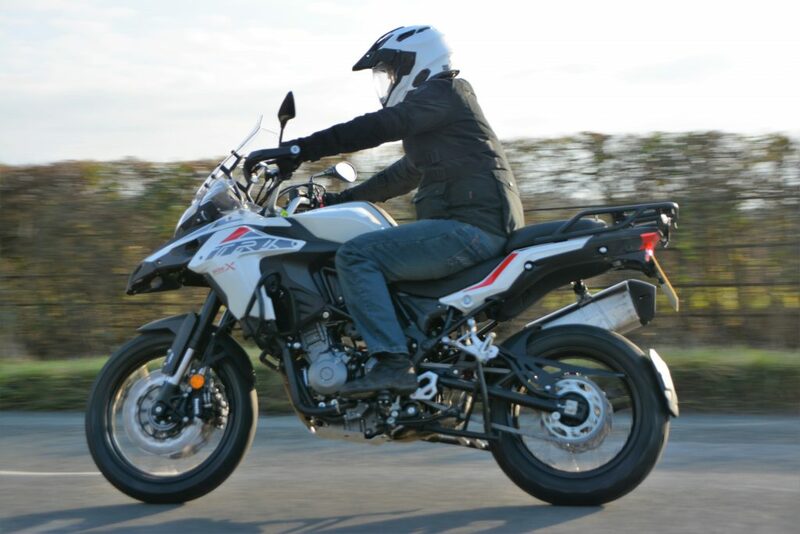 That said, a possible alternative to either CB500X or TRK 502 X would be a second hand Suzuki V-Strom 650 or Kawasaki Versys 650, which would offer that bit more zip for the money. For now, some riders will find the TRK 502 underpowered, which is going to be the case with any 47bhp machine. Personally, it has enough poke for everyday riding conditions and will cruise at 80-85mph and deliver brisk acceleration away from traffic lights. The mid-range is strong enough and with a redline at 10,600rpm there is at least some power to chase. Where a bike like this will suffer is in over-taking manoeuvres, which you just have to put a bit more thought into than you do on the bigger engined bikes. There’s decent suspension and handling to the Benelli. It definitely doesn’t ride like a budget machine and on back roads a strong rider should be able to keep up with those on higher powered machines. The bike makes decent mid-range power and throttle response is precise, which is just what you need to making swift progress. This is something that would be blunted by a heavy kerb weight and it’s clear that you’re not riding a lightweight trail bike but it doesn’t impede cornering speed or agility once on the move. The upshot of a bit of weight in a bike is that it does make for better stability at speeds and prove more stable in crosswinds. Given the dimensions of the bike then in a lot of ways the Benelli rides pretty much like any of the large capacity adventure machines, with wide bars giving you good leverage for counter steering and an upright riding position that is likely to prove all day comfortable. In comparison to the CB500X the TRK 502 certainly feels that big bigger, with the broader and taller windscreen and more raised fuel tank giving you the impression of being sat in the bike rather than on it. The biggest change of course with this X model is the 19-inch front wheel. I’ve always found that a 19-inch is the best compromise for a dual sport machine. A 17-inch front works well on smooth Tarmac but can get choppy on rougher surfaces, which we often encounter here in the UK, whilst a 21-inch by comparison can be just that little bit stubborn to turn and unless you plan on doing a lot of trail work is perhaps a little over-kill. The 19-inch then is just the ticket for the TRK 502, with it worth noting that for 2019 the CB500X also comes with a 19-inch front wheel, albeit cast aluminium rather than spoked. The upshot of that is that Honda will run tubeless tyres, with the TRK 502 X tubed and the regular TRK502 also tubeless. 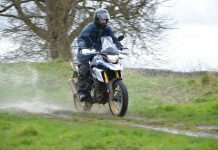 Tyres on the 502 X are Metzeler Tourances, which are a decent tyre for a budget bike and whilst largely intended for the Tarmac, will give a bit of grip in the dirt. 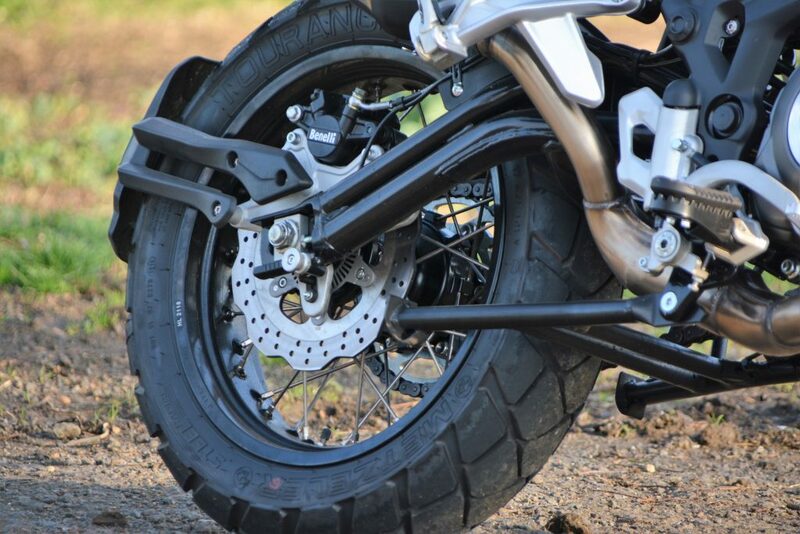 The tyre sums up the pitch of the bike; road biased but with a bit of a nod to some (gentle) off-road work. How the bike would handle in the dirt is for now a little bit of guesswork, but crucially the standing position is spacious and comfortable, with a nice reach to the bars that would in turn give good control of the bike. The rubber inserts in the pegs are removeable to reveal a grippier metal platform and the basics such as the clean fuelling and throttle input should make moderate gravel trails more than rideable. The 220mm ground clearance is also good on this bike (versus 180mm on the Honda), even with the standard centre stand in place, which means you could tackle some gnarlier stuff if you fancied it. The 502 X does benefit from longer travel suspension than the regular model, with new internals for the non-adjustable Marzocchi forks and a different rear shock, now with more adjustment. There is a bit more dive under braking but not a great deal, and to me the longer stroke suspension just makes that bit lighter work of rougher roads. The limit to where you can take it is the weight and sheer size of the bike, which applies equally to any bike in this class. 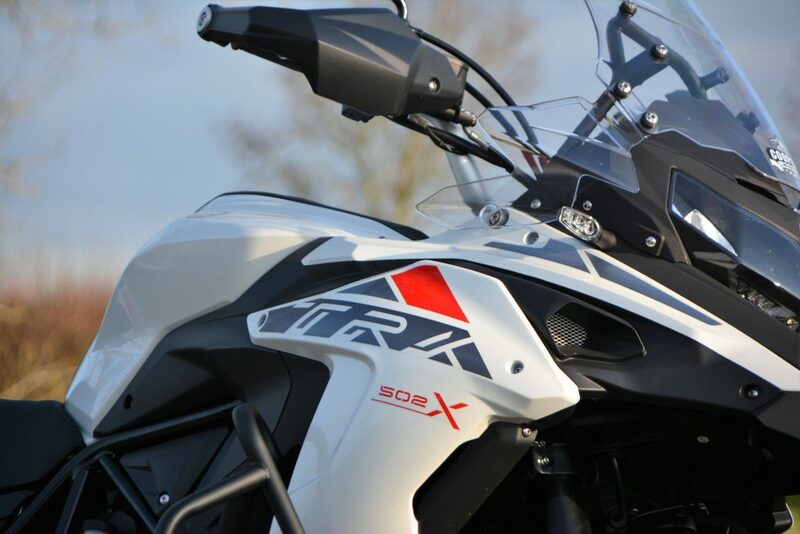 Having said that, I don’t see why the TRK502 X couldn’t go or do anything that a R 1200 GS could do and with those wide crash bars it should also take a good knock or two. 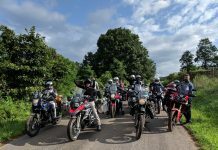 If you want a more dirt friendly and manageable bike to really get off the beaten track then maybe you’d be better off looking at a Royal Enfield Himalayan. The Benelli definitely has a big bike presence about it. Some will be nonplussed by the engine size but combining a big bike feel with more modest price and power points is no bad thing. The taller seat and slightly more top heavy weight of the X model might sway people to the regular model. This was a big area of criticism for the standard 502, especially the rear which was wholly ineffective, although the front was ok. For the X model the rear caliper has been uprated and improved, whilst at the front remains twin 320mm discs (single disc on the Honda), but the four piston callipers have been replaced by twin-piston callipers, allegedly to improve stopping power on the dirt, which sounds a tricky one to prove one way or the other. 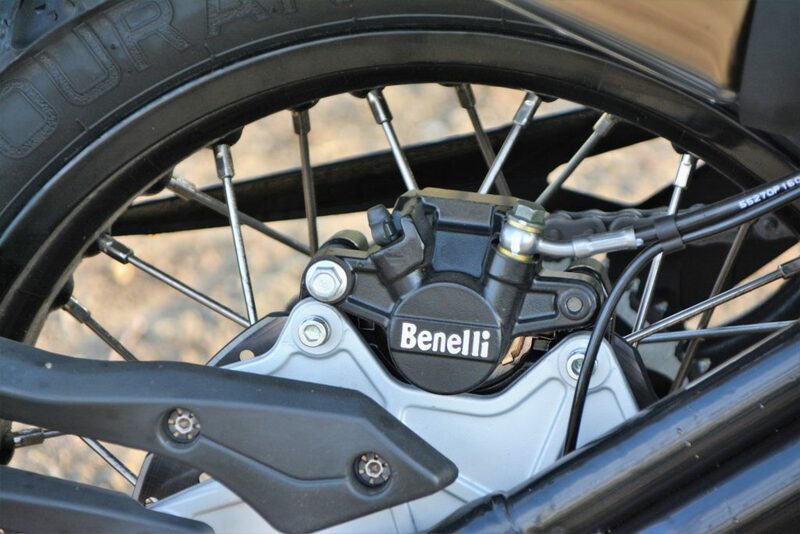 The stopping power is now more than adequate for the pace and performance of the bike, with good initial bite from both brakes and no reason to pay them much attention other than to say that they do the job. A nice touch is that you can disengage ABS on the rear wheel (not the front) with the prod of a button on the left handlebar cluster. The graphics are much improved on the X model over the stock TRK 502. Sharper and modern, with the bike available in red, dark grey or white. The bike comes well equipped as standard, which is a large part of the appeal. You get a centre stand, sturdy rear rack, handguards, 12v charge point and engine guards. Add all that to a price of a stock Honda CB500X and you could be looking at the best part of a £1000. The obvious change for this 2019’s CB500X is that that bike now also gets a 19-inch front wheel. 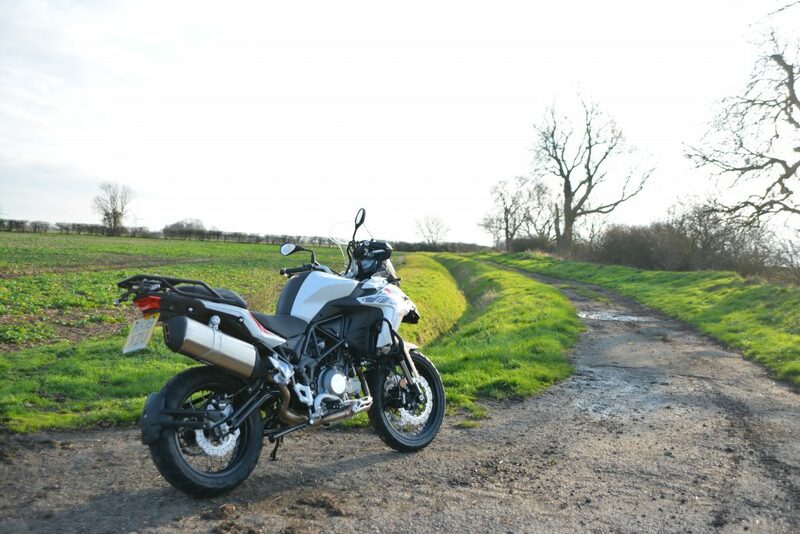 That has blighted one of the Benelli’s trump cards over the Honda (in having a bigger front wheel), but in terms of price it’s still £600 cheaper to buy and already comes with a fair amount of standard equipment. The obvious solution would be to get a second hand low mileage CB500X that has had some of the kit fitted to it by the original owner, but then, for now at least, it wouldn’t have the bigger front wheel until the 2019 model filters through to the second hand market. What I would say is that for anyone looking at the Rally Raid kit for the CB500X, then this Benelli, whilst not having ultimate performance of the Tractive suspension that Rally Raid fit to the bike, does have a lot of that bike’s virtues; the spoked wheels, longer travel suspension, rear rack, engine guards etc, and I’d personally say the standing position is more natural than that of the Honda, simply because the CB500X shares its frame and geometry with the F and R road bikes and so there’s always been a little compromise in getting the X version to feel ‘just’ right as a dirt focussed machine. 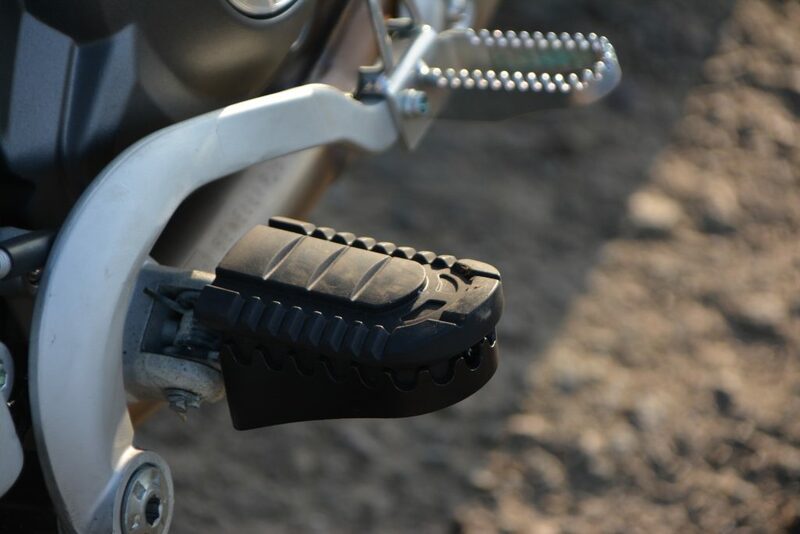 The footpegs are just that bit high and too far forward (for me) for example, but as with all things, it’s what suits and works for the individual that matters. But you could certainly see the Benelli TRK 502 X as being a slightly diluted Rally Raid equipped CB500X, on the cheap. When the TRK 502 first launched it came with pannier frames already mounted and included in the price. They’re now a £170 option, with the Givi Trekker panniers an extra £475 and the accompanying top box available for £290. That does bump the price up and proportionate to the price of the bike is a lot of money, but a cheap bike sadly doesn’t always mean cheap panniers. In terms of servicing, intervals are every 4000 miles for an oil change, with the bigger service at 16,000 for the valve check. Out of the two, the Honda would be cheaper to service with 8,000 mile service intervals as well as the two year service package offered by Honda. The more difficult element to measure is resale value and reliability. There aren’t many second hand TRKs on the market at the minute but you would suspect with the relatively low price tag that depreciation is going to be modest to minimal for the first year or two. As for reliability there are a lot of happy TRK 502 owners out there, especially out in South East Asia and India where they seem to have more of a following. There was a report of a bike overheating here in the UK and the question of Chinese manufacture does put off some people, but with Hondas largely made in Thailand (or China), BMW having engines for some of their bikes made in China and now with KTM’s plans to build their 790 Adventure in the far-east as well, then whether you like it or not, there’s a good chance your future bike – or some part of it – is going to be built out there. Even most Triumphs are built in Thailand these days. Like it or lump it is the reality. Safe money for now will always be on the Honda. You’ve got strong resale values, a wealth of spare parts, aftermarket accessories and a knowledgeable and enthusiastic owners community to fall back on. 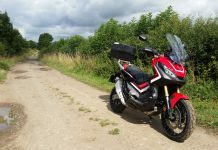 It takes a braver choice to buy a Benelli than a Honda, that much is still certain, but the Benelli as a bike offers many virtues of its own and definitely doesn’t give the impression of a budget bike. Fit and finish seems good and I think a lot of people will be surprised or even amazed when you tell them how much you paid for it. The only real visual let down are the engine bars, which stick out wider the handlebars and make it look ungainly from the front. I’d probably remove those and replace the stock plastic handguards with something a bit more sturdy. With road biased trail tyres any bike is going to struggle on the claggy mud of Northamptonshire lanes. The weight of the Benelli will also go against it in more technical terrain, but on more open and flowing landscapes I see no reason why it wouldn’t be as capable as Tiger 800, R1200 GS etc. I came away with no real surprises from the TRK 502 X. A year or so ago I was surprised by how decent the standard bike was and this is simply an evolution of that. As impressed as I was with the regular 502, there is definitely more appeal to this X model. It looks better balanced, more aggressive and more purposeful, with the changes to it sensible and well thought through. Some will struggle with the seat height, which certainly feels taller than the claimed 840mm, and for those who have no inkling of taking the bike off-road then the regular (and cheaper) TRK will still make more sense. Gaining traction for the TRK is still going to be hard. The bikes are only one element of it. Dealer back up, market image, availability and perception are all crucially important and it takes a certain resolve to walk past the easy option in order to favour the lesser known brand. That’s going to take time and consistent improvement over a period of years to make that happen, and many brands of this size and nature struggle, as we’ve just seen with SWM – similar in being Italian origin with Chinese backing – who just lost their UK importer who sadly went bust. To build an empire, price and product are crucial, and in both regards Benelli are bang on the money to my mind. It’s a good bike at a good price. Whether they can build the brand and the back up to give the bikes the push they need remains to be seen. It’s a tough and competitive world out there for the smaller brands. Ultimately, there are no solid reasons why shouldn’t buy a Benelli TRK 502 X. The obvious answer is always to try and find a dealer with a demo and make up your own mind. I’ve found myself tempted by the X model myself, seeing it as a candidate for guiding my tours for next year. It’ll have a bit more motorway pace than the Himalayan, which is no bad thing, and should be able to deal with any moderate to rough terrain I throw at it. If I had the money in my pocket and was weighing up this or the Honda I would go for the Benelli, just because it’s that bit more interesting and different to the norm. 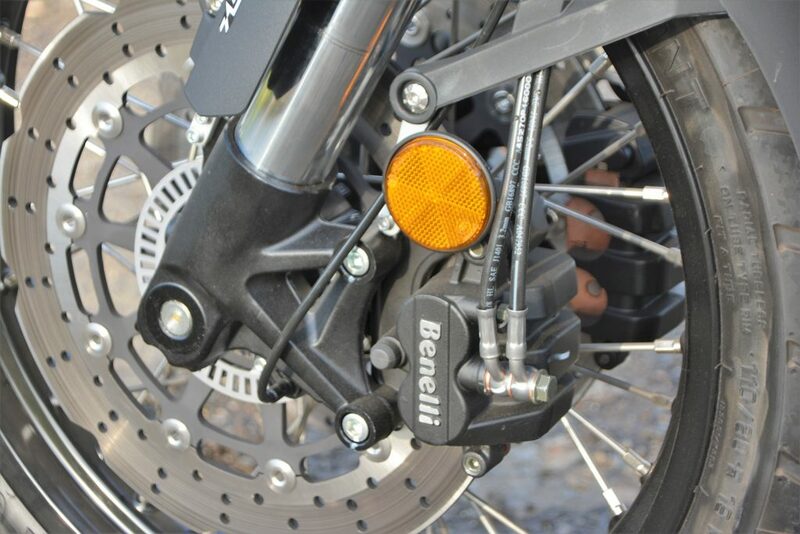 We know that a CB500X will do the job, but about the Benelli, time will tell. There is a bit of a sump guard under there which does leave the header pipes a little exposed but they’re fairly well tucked away from harm. 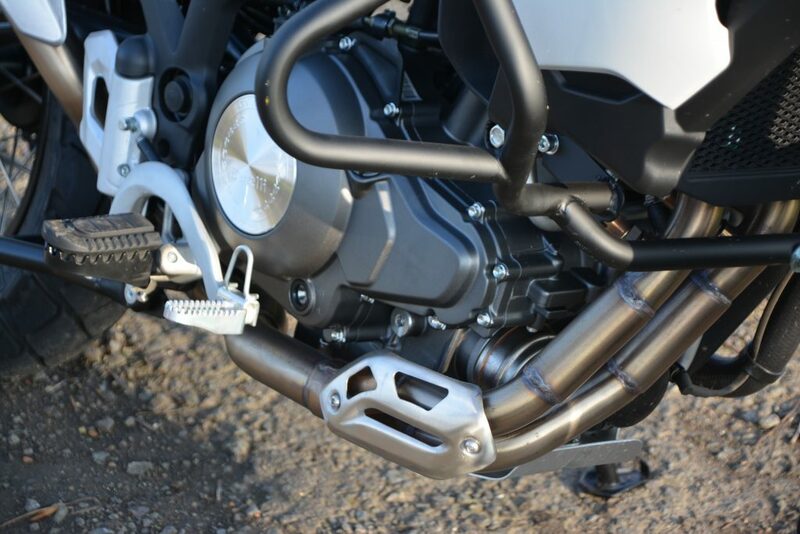 With the stout engine bars the bike should be well protected in the event of a spill and the engine bars should make it a relatively easy bike to lift. The bars are typical adventure bike style in being quite wide and with a high lift. Without a cross brace you could find they do bend in the event of a heavy fall. 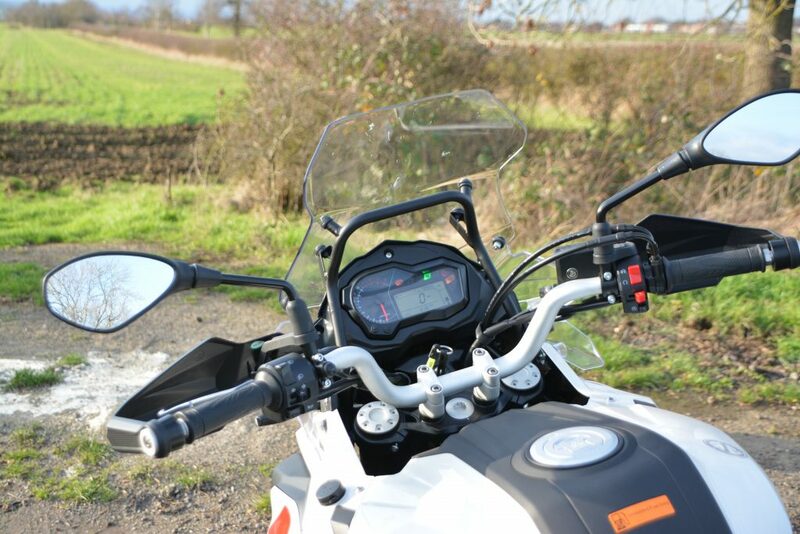 Hand guards are plastic so may fail in a heavy fall, whilst the screen has a fair amount of wind protection. 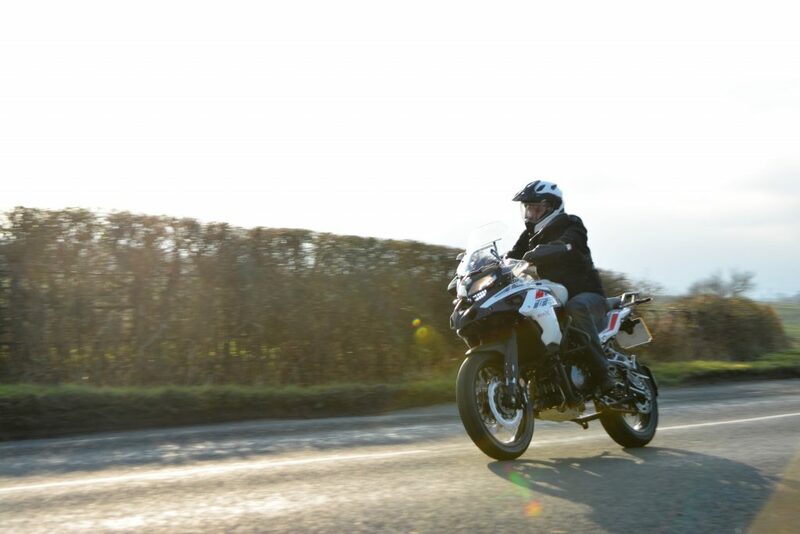 Combined with the sizeable 20-litre fuel tank you do get the sense of sitting in the bike, rather than on it. 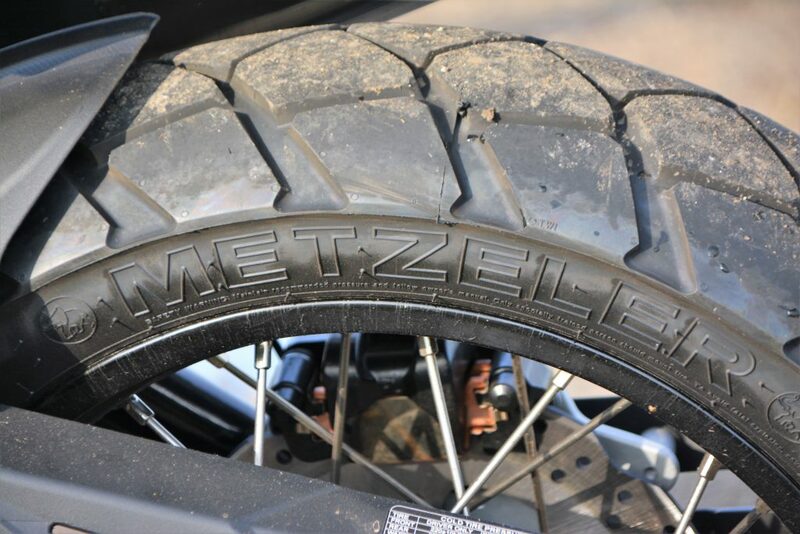 Metzeler Tourance tyres are a nice touch and suit the nature of the bike well. Rims are alloy and the tyres tubed. A centre stand as standard should help with any puncture repairs that need doing. 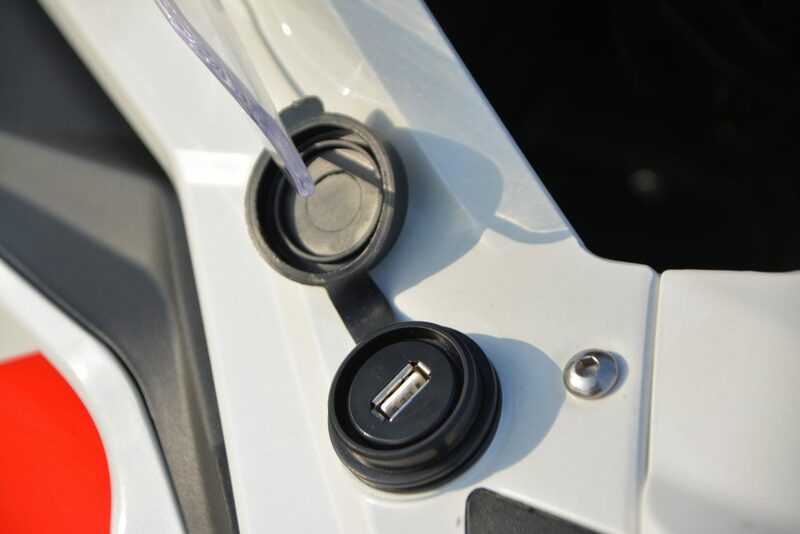 The 12v USB charger mounted on the outside of the left hand fairing is a nice touch and should save people having to fit their own. The only negative is the location of it as when in operation it could take on water during heavier rain. It would have been handier nestled behind the screen somewhere. The front brakes are now twin 320 mm disc with floating twin piston calliper. It’s a step up from the single disc set up of the CB500X are provides strong braking performance for the TRK502 X. ABS can be disengaged on the rear but not on the front. The Benelli’s instrument cluster is simple and easy enough to read, with pretty much all the information you’re likely to need, including temperature gauge, gear indicator, fuel level, rev counter and digital speed. 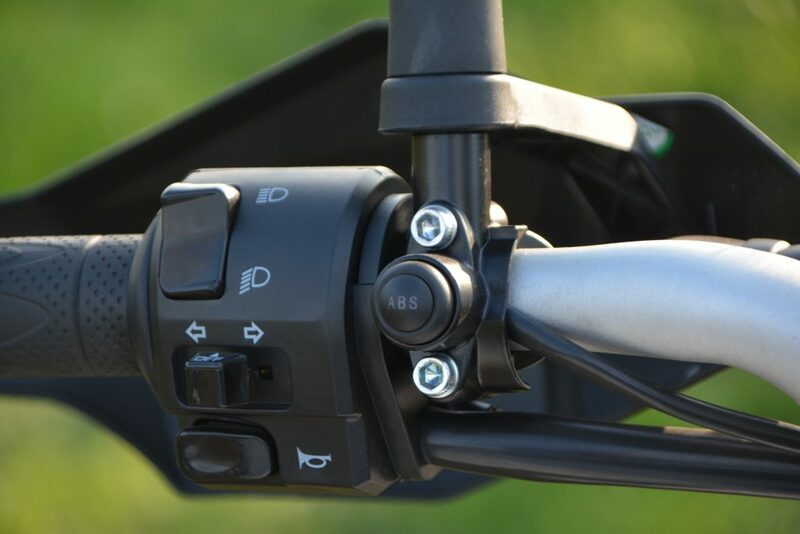 The switch on the left control cluster allowing you to disengage ABS on the rear wheel only, preferable when you’re riding on the trails and you want to lock up the rear. Preferably there’d have been an option to disable the front ABS as well, although that’s a rare feature on bikes in this market segment. The rear brake on the X model is much improved over the standard TRK, even though the spec is largely the same with a single 260mm disc and single piston calliper. Rubber pegs inserts can be removed by way of two bolts holding it in place. Beneath the rubber is a grippier more off road focussed peg that should give more grip for a muddy boot. The standing position for off-road riding is good on the Benelli, which is half the battle with making a bike ride well in the dirt. The high swept exhaust is a big improvement over the low level pipe of the stock TRK, meaning that for riding in rough terrain it’ll be much more suited. For the extra £500 of the X model Benelli has made quite a number of changes; suspension, exhaust, wheels, and so in many ways equates to a good value upgrade. There’s certainly not a lot else you’d need to add to the bike, bar panniers. £8500…. on a bike, or on a trip? Interesting review, I’m always tempted by the cheaper underdog, and being 6ft1 the higher seat would be a really big plus, assuming the peg to seat ratio benefits too?. The higher cruising speed and extra tank size I think would swing it for me over the Himalyan which I’ve long been tempted by, but then I’ve never gone off the tarmac – which I want and need to remedy. Thanks for some great day dreaming material!